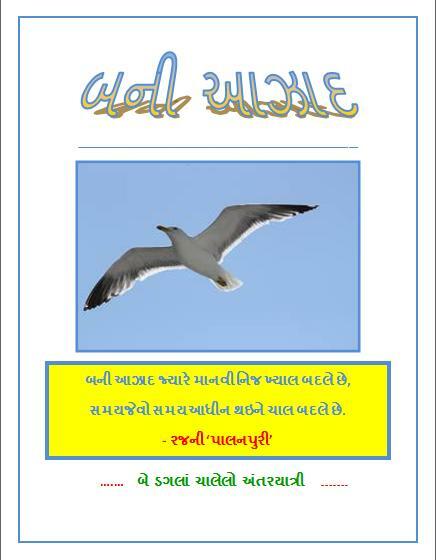 Years ago, I read a series of translated chapters published in a Gujarati magazine “Navneet”on “Parikrama of Narmada river” written in Marathi by Shri. Gopal Nilkanth Dandekar. I am looking for this translated book in Gujarati. Where can I find it? Can anyone help me? do u want his contact no.? i am too late..but i have just see this today only..
Want to buy all books written by Tatvachintak v. Patel. Can you pl guide me. Thanks. I want book of virangnani vato. In sihor, sedarda name village, in this vav name villege is their and that is my birthplace. In book of virangnani vato author name is tarachandr adalaja, write a story of sonbaini vav. this is so much popular and related with my village. So i want story of sonbaini vav then you help me.Please give me story in gujrati. ઘણુ સારુ collection કરેલુ છે … આપનૂ સાહિત્ય http://www.jeevanshailee.com પર મુકવાનો વિચાર છે.